The most intriguing new American musical to reach New York in several seasons: "bright, original and moving" is how Variety described YANK! Following it's 2010 off-Broadway premiere. It's twice-extended, sold-out run at the York Theatre was the recipient of seven Drama Desk, three Outer Critics Circle, and two Lucille Lortel nominations - all including Best Musical. 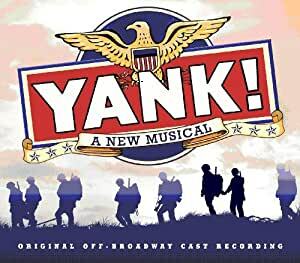 Written by Joseph Zellnik (music) and David Zellnik (book and lyrics), YANK!, a love song to Hollywood's "it takes one of every kind-" platoon flicks, tells the story of Stu, a scared Midwestern kid who becomes a reporter for (the real) Army magazine Yank, faces his fear in battle, and perhaps even scarier for him, finds love with a fellow soldier named Mitch. With a lively and tuneful score inspired by the theatre and pop sounds of the 1940s, the show captures the spirit and exuberance of the World War II era even as it explores questions of prejudice, courage and survival. Stream Yank! 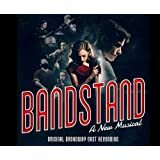 (Original off-Broadway Cast Recording) by Various artists and tens of millions of other songs on all your devices with Amazon Music Unlimited. Exclusive discount for Prime members. 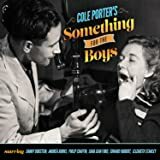 A show about gay soldiers in WWII has with one the most old-fashioned romantic score in years...I personally thought the Rodgers & Hammerstein-influenced score is beautiful, heartfelt and served the book well. I laughed and cried when I saw the show's original production....You will too after hearing this score! What a wonderful recording of a really great score. 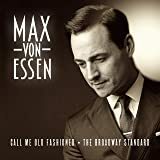 The music is beautiful, although I don't think there's much of Rodgers and Hammerstein in there - more Berlin, Arlen, Mercer, Hugh Martin (listen to the harmonizing vocals), and Loesser. It's packed with an authentic WWII sound and feel, with blues, romantic ballads, and swing. The casting is superb. Steggert and Hernandez really make you feel for their characters, and are both wonderful singers and actors. The whole thing presents enough of the show that it really makes you want to see it done on the stage. I've already put in a plug with my local regional theater company. As for the show, the story is a bit of a heartbreaker, though there's also some excellent comic relief. The show very consciously utilizes the cliches of WWII movies, but also subverts them as it goes along. All in all, it does a good job of conveying what the soldiers of WWII were going through, particular the gay men and women who had to fight the war while also having to fight or deal with a system that nominally didn't want them, but also needed them. It also looks at the surprise and joy and confusion and fear they felt as they were suddenly able to realize they weren't alone, and there were many, many more people like them than they ever suspected. This was something many of young gay men and women had never experienced before in the provincial and prudish society that was most of America before the War. So go and get it and hear it. Yank is both a joyful and sad evocation of a great time in our history, and utterly wonderful. A bit of postscript - I've had this album for about a week now. I've been playing it continually, every chance I get. When I'm not playing it, I want to be doing so, and the songs have been alternating spending time running through my head. The numbers doing this include the ballad "Remembering You," the title song, "Betty," "Click," "My Soldier," "A Couple of Regular Guys," and "Just True." The songs are just that melodic, and catchy, and plain old good. I think this is going to be a favorite for a long, long time to come. 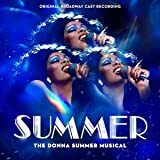 5.0 out of 5 starsA cast recording well worth the wait! It is rare when something exceeds all the hype, but this score/show does. It tells a touching story capturing the personalities and emotions of every character. It reminds me of the music I heard my parents play when I was a kid. A story that touches your heart and won't let go. I hope someone finds this incredible show and gives it a chance to live again and share its powerful message. I saw this at the York and it was so moving and wonderfully done in all aspects .... having the CD of the production is a gift. A good score and an enjoyable recording of it. Nancy Anderson does a superb job playing all the female characters. Saw the play - twice actually -- great music and and performances -- have not actually opened the cd yet - but will enjoy when I do. 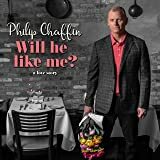 5.0 out of 5 starsSolid recording. Solid recording of a production I did not see. This is the way to keep the history of musical theatre alive. 5.0 out of 5 starsBeautiful, moving musical starring the amazing Bobby Steggert. 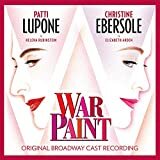 The perfect original cast recording. We've had the good fortune to see this show three times, and it just gets better and better.